Kommentare, Danksagungen, und ein paar komplette Beschreibungen der Reittour und Links zu Reiseblogs Die allerneuesten Komentare findet man bei Tripadvisor. Huwe schreibt über seine 7 Tages Reitabenteuer in den Huerquehue Nationalpark - Englisch. 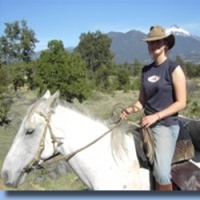 Hi Matthias I just wanted to write a brief note to thank you for the hard work you put in on the recent horse trek. The feedback from the group members has been tremendous, and people have been very impressed with the standards and quality of service which you provided. I hope that the large group was not too much of an issue in the end, and that you would consider doing a similar trek for us in the future. 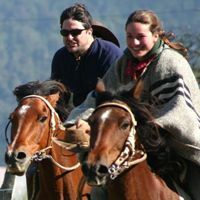 My brother and I took the “Crossing the Andes” trip in December 2009. It was a fantastic experience in every way. 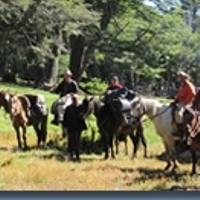 .... Antilco had carefully selected appropriate horses for our riding level based on the information we provided them before the trip. ... They were spirited and fun to ride. The trails were amazing and dramatic. Our Chilean guides (Aldo and Lena) were excellent. Aldo knew the area like the back of his hand and told funny stories about his experiences. 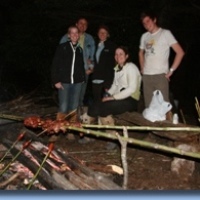 ... We had wonderful campsites tucked away in the mountains, by gurgling creeks, by scenic lakes and in the highlands. The food was great – .... And the readily available Chilean and Argentinean wine was a very welcome surprise. The second phase of the trip was with Hernan and Jose in Argentina. ... The contrast in the terrain was amazing. Suddenly we were riding in wide-open spaces where you could see forever – with active volcanoes in the background. Throughout the entire trip we did not see another tourist. 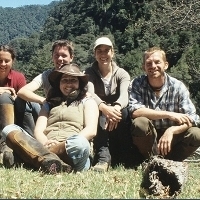 In fact, we didn’t see very many Chileans or Argentineans as we were in very remote areas. We also learned (with some help) how to outfit our horses with both Chilean and Argentine saddles, bridles, and saddle bags. .... 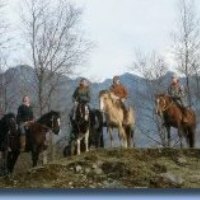 It was the trip of a lifetime, and I enthusiastically recommend it to anyone who enjoys riding and wants to reach some of the most remote and beautiful places in the world. ... we loved the trip. Thank you for making it possible. Almost to good to be true: Read the full text. What I enjoyed: Something differnt everyday. I wish it lasted longer. 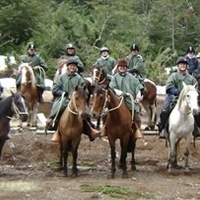 My horse and all the guides and travelers. What bothered me: I caught a bad cold from the start and it lasted 2 weeks, and my hands were blisterd bad from sun burn. Final Comments: Best trip I had so far.